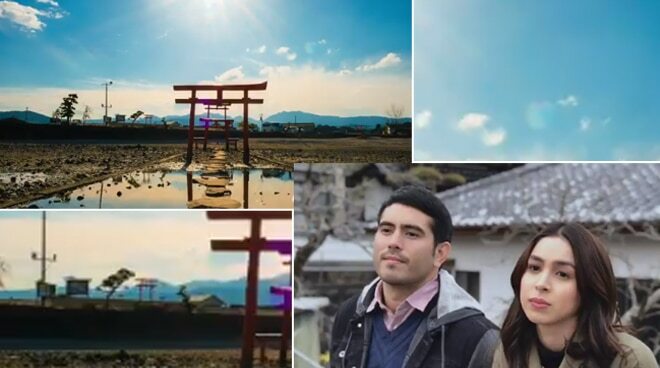 Julia and Gerald team up for the first time in a movie. Julia Barretto and Gerald Anderson are set to team up for the first time in an upcoming movie titled Between Maybes under Black Sheep. The film will be directed by Jason Paul Laxamana and will be shot in Saga, Japan. Julia will play the role of Hazel Ilagan, a famous actress in the Philippines. "I can relate so much to her. When I first heard about it, I had a soft spot for her dahil naintindihan ko na kung bakit siya naging ganon kasi makikita natin sa pelikula kung gaano siya napagod sa ginagawa niya. Hindi mo siya mahi-hate kasi may dahilan sa pagkatao niya, maiintindihan mo." Meanwhile, Gerald will portray the character of Louie Puyat, a son of parents who were deported from Japan. According to the actor, he is excited about the fact that he will be working with a new leading lady and director, and that they will be filming overseas. "It was meant to be kasi sobrang ganda ng istorya at ibang leading lady and first time kong makatrabaho si direk. Kinikilig ako sa fact na parang iba' yung makikita sa background ko, hindi 'yung mga jeep at opisina natin dito, iba siya," he stated. According to Laxamana, he chose Saga, Japan to be the setting of their movie because it fits the theme of the film. "There's this brand of quietness na never kong naranasan. And it's a perfect place to isolate your place from everything so I wrote characters na 'yung tema ng problema sa kanilang buhay ay sinolusyunan through isolation," he stated.